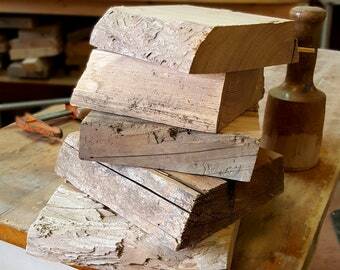 Slowly reclaiming wood from America's early heritage. 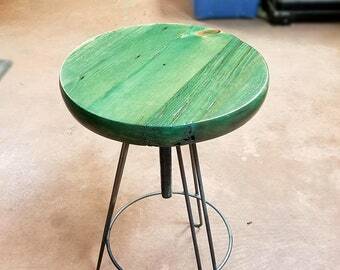 Announcement Custom made reclaimed wood console tables, benches, sofa tables and more. Giving new life to century old log cabin and barn timbers from the upper Midwest. 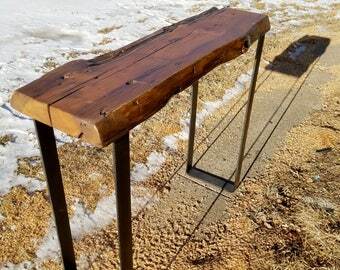 Custom made reclaimed wood console tables, benches, sofa tables and more. Giving new life to century old log cabin and barn timbers from the upper Midwest. These little pieces cut off a table kept asking to be made into something to show them off. The sun was streaming in as I set up the shop the other day and I just had to try to capture it. Shop in a box. Ready for the 1400 mile trip to Tucson. Wondering where barn wood comes from? Most of these barns were built in the late 19th and early 20th century. Reclaiming the beauty inherent in nature. Furniture for the next generation. Careful disassembly and sorting of what can be salvaged and reused is done by crews of both Amish and English. He loves to make things! I love history. There is nothing more fun than a full dumpster and an empty truck or an old piece of wood. I am so lucky to have a new shop set up for woodworking and metal crafting. I enjoy fabulous support from my family in moving from the Driftless region of Wisconsin to Tucson, Arizona and now back to the Driftless Area. I have been building and remodeling homes and furnishings professionally for 40 years. During that time I also got a degree in theater design, helped raise two little boys (now 27 and 30) and am now working on raising two girls with my wife in Viroqua. In my theater work and in supporting local community theater, I have designed and built mushrooms for caterpillars, oak trees for swinging in, made Cinderella's carriage appear out of fog and made Klansmen vanish, elevators and porches that rain and all manner of stage scenery. Creating things of beauty and intrigue through theater work inspired me to hang up my general contractor's hat and open up a shop where I get to make whimsical yet practical pieces. I am thrilled to be creating my own original works of art and function, and hope that my creations find their way to new homes and businesses through Etsy. I welcome requests for custom orders and look forward to crafting just the right piece for you! They have been a dependable Etsy partner working with steel for me for over 18 months now. Their motto "We are a Disabled Veteran Small Family Business that still believes in the American Dream!" Much of our work is constructed with used or organic materials. Some of our wood is as old as the US of A. We enjoy the natural imperfections that are inherent in them and hope you do too. Some pieces have been re-manufactured by us but be aware that there will be signs of wear and tear, dents, nicks, color variations, scratches and other signs of imperfection. It is impossible to completely reveal all of these "flaws" on-line and hope you enjoy the serendipity of discovering then yourself. If you are not pleased with your purchase please return it withing 10 days for a full refund.